Everybody loves receiving a sweet party treat! 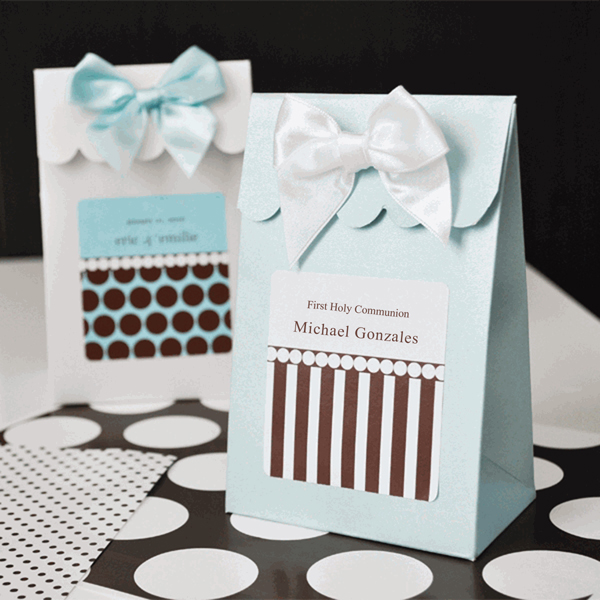 And these beautiful Communion Favor Bags can be personalized on the label! Offered in sets of 12. 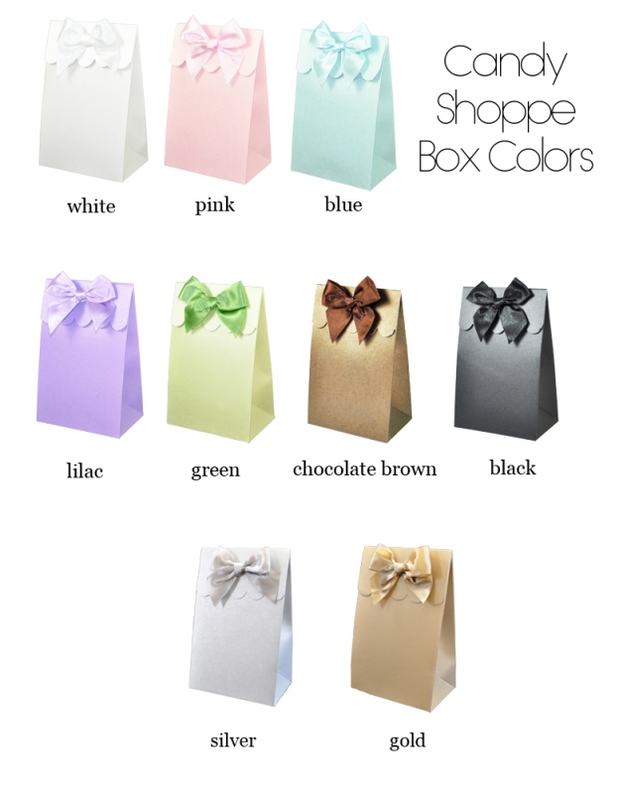 These sturdy favor bags have a lovely shimmer to them and come in 7 colors. 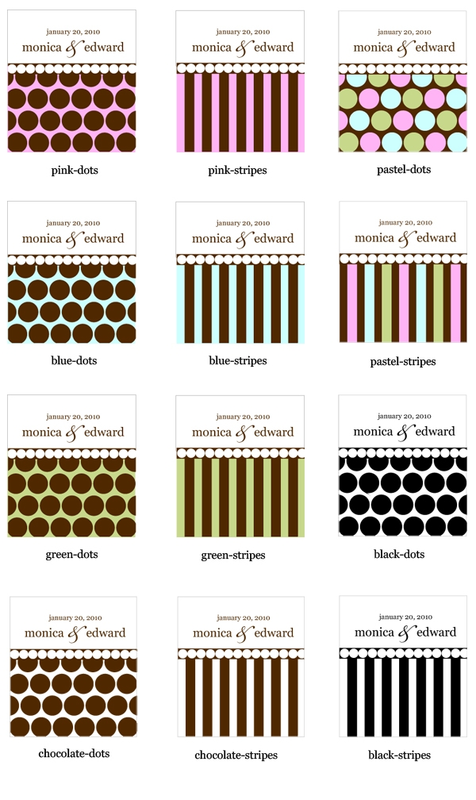 You also choose your label design and then personalize the label with two lines of text. Each box comes with a matching color satin bow. Stickers on the box flaps hold them closed once they're filled. You may need to wrap cookies or candies with oily ingredients to prevent staining of the bags. Labels and bows do not come attached to the boxes. Some assembly required (attaching the self-stick labels and stick-on satin bows to the boxes). Communion Favor Bag size: 5.75" x 3.75" x 2.5".